Economic growth in China has transformed both politics and society. Old orthodoxies are painfully being eroded in the drive for reform while new social and cultural tensions are coming to light. It has been argued that the cycles of reform and retreat since 1978 which culminated in the Tiananmen Square tragedy were induced by the tensions of the reform process. It is clear that the way in which China handles these issues in the future will have major implications for the next phase of the country's development. The authors of this book analyse how reform has affected major groups in society such as urban workers, rural and urban cadres, the army, intellectuals and private entrepreneurs. They examine the interaction between old attitudes and new needs in such areas as education, policing and social control, rural administration and the status of women. 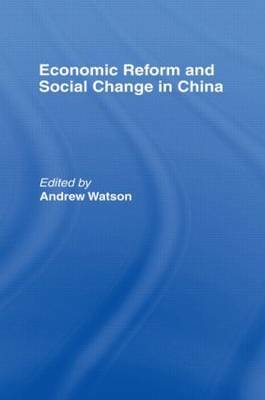 What emerges is a broad insight into China's reform process which looks both at the enormous changes that have come about and at the problems to follow.